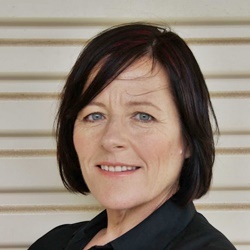 Keri Arthur is an Australian born author of urban fantasy books. She made a name for herself in the genre with her Riley Jenson Guardian series. Her writing style is exciting to read and will keep you reading long into the night. If you're a fan of non traditional romance stories, urban fantasy and supernatural elements, you will love Arthur's books. I personally attest to the incredibly addictive nature of reading them... I've done so more than a few times each at this point and I enjoy them every time. Arthur first started writing when she was twelve years old. One of her favorite authors killed off a character she didn't want to part with, and instead of accepting that fate, she grabbed a pen and re-wrote the story to keep it from happening. To date she's completed fifteen novels, and continues to produce top quality reading material for her readers. Because of that dedication, she's received numerous award nominations for her work. Arthur made the final five in the Random House Australia George Turner Prize, she was nominated for Best Contemporary Paranormal in the Romantic Times Reviewers Choice Awards and Best Shapeshifter in PNR's PEARL Awards. AND... she got a perfect 10 from Romance Reviewers Today! I absolutely love the quirkiness and humor in her books. The characters are ordinary and extraordinary, and funny all at the same time, and they grab and hold your interest throughout every last page of the story. You won't be disappointed as long as you enjoy a good urban fantasy mixed with a bit of non-traditional romance.